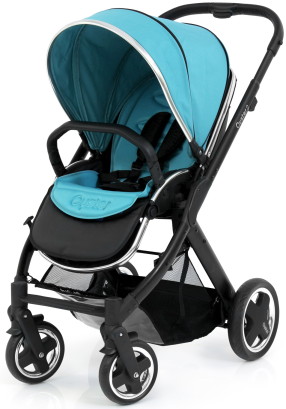 The Babystyle Oyster 3 is a stylish looking single pushchair with a reversible seat. 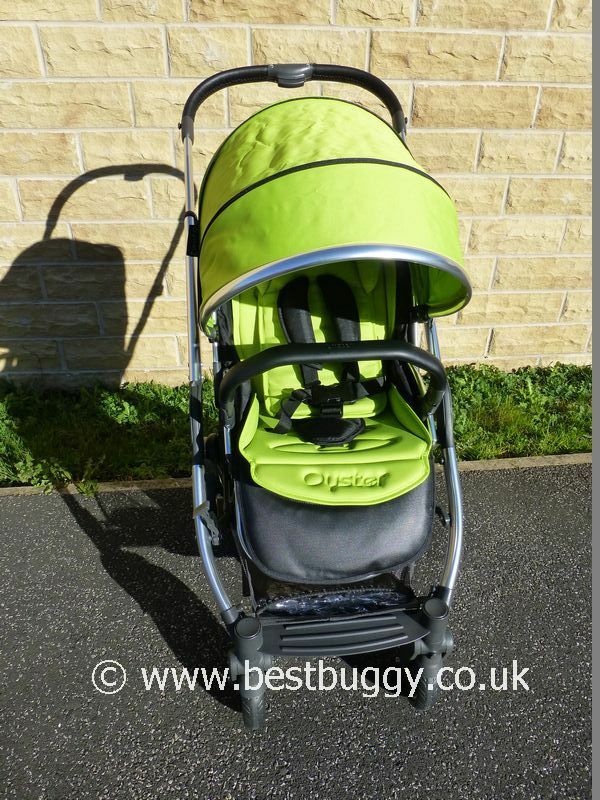 The harness is connected to the hood which makes the pushchair 'grow' with the child giving additional space under the hood. The Oyster 3 has a very neat fold with the seat forward or reverse facing. 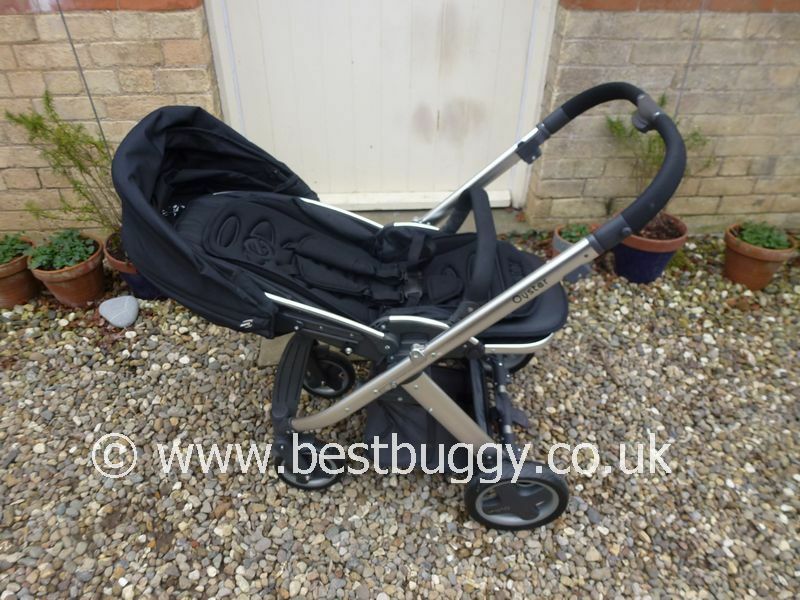 The seat is suitable from birth but there are also carrycot and travel system options available. Suitable from birth to 22kg. Spacious reversible seat. Flat neat fold with the seat left on in either direction. Adjustable harness linked to the hood height. Large basket. Raincover. Carrycot and travel system options. A toddler board can be added up for a child to 20kg. Great to push. Stylish quality fabrics. Flappy rear hood panel. Fiddly 5 piece harness. 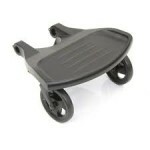 2 large rear PU foam filled wheels, 2 small front lockable swivel wheels. 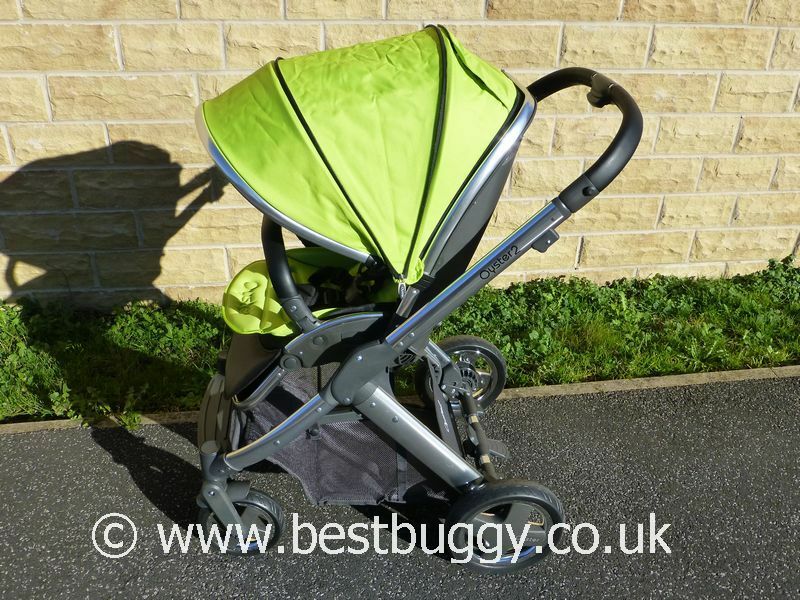 The Babystyle Oyster2 is smart looking compact travel system with car seat and carrycot options. The Oyster2 has a reversible seat unit which lies flat for a newborn. The Oyster2 is neat and narrow. It is packed with good quality features like a button recline, easy pop off seat, adjustable footrest, autolock and large shopping basket. The Oyster2 has a choice of colour packs with a matching coloured hood, apron and headhugger; and a choice of chassis colour. The carrycot colour pack has a coloured hood and carrycot apron. The Oyster2 has a longer harness than the Oyster1. 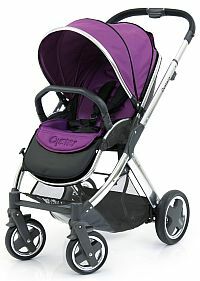 The Babystyle Oyster 2 has a new silent, taller hood and a bigger shopping basket with raincover pouch. The new carrycot colour pack has a matching coloured apron. Good value for money. Forward and outward facing. The seat is suitable from birth. Large basket with raincover or small items storage pouch. Easily customisable with colour packs. 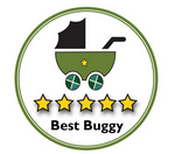 Carrycot, seat unit and car seat options. Narrow - just 56cms wide. Integral UV sunshade and insect net under the seat. Folds with the seat on in both directions. 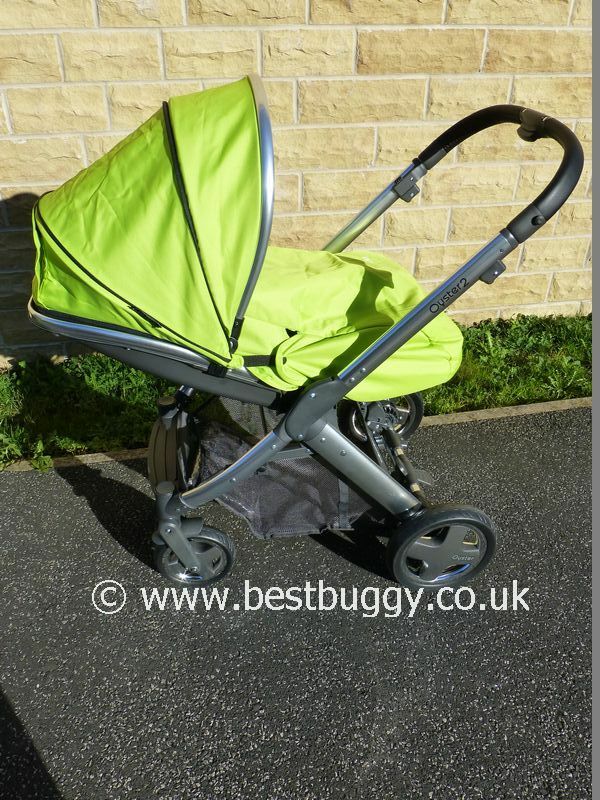 Packed with features that are usually found on a higher priced pushchair. The hood slides up the frame to allow room for an older child. Extendable hood - with a zip out section. Adjustable handle extends to a good height. Seat pops off very easily. . Super adjustable harness from very small for a newborn to large for an older child wearing a bulky coat. Apron & bumper bar included. The seat may seem a little exposed without the apron on for a small baby. 2 Step fold. Will fold with the bumper bar folded down - however the fold is not quite as compact as with it removed. Rear facing fold is long but flat. Swivel, lockable front wheels. Quick release. 25cm rear wheels, 18cm front wheels. High shine wheels. Rear air tyres can be bought as an accessory. Folds with the seat on in either direction. 4 position recline in either direction including very upright, and lie flat for a newborn. 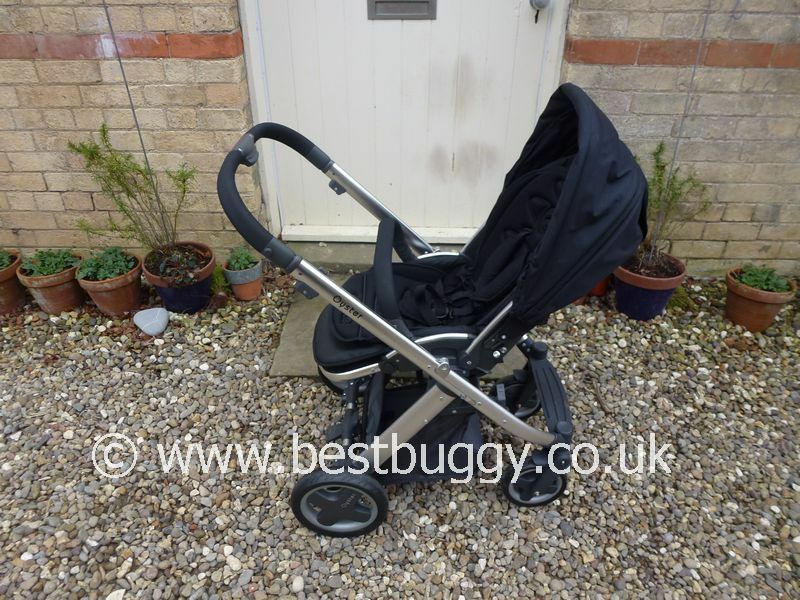 A range of accessories including carrycot, footmuff, changing bag, parasol, air tyres, snack tray, black out shade, bottle holder, car seat adapters, ride on board. To clarify a fitted pushchair apron is included rather than a full footmuff. Carrycot or car seat height increasers are available if necessary or required. 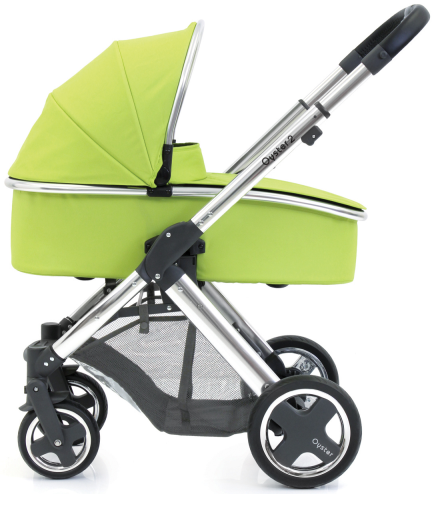 The Babystyle Oyster is smart looking compact travel system with car seat and carrycot options. The Oyster has a reversible seat unit and is narrow. It is packed with good quality features like a button recline, easy pop off seat, adjustable footrest, autolock and large shopping basket. The Oyster has an amazing range of colour packs and a choice of chassis colour. Good value for money. Forward and outward facing. Large basket. Easily customisable with a large range of colour packs. 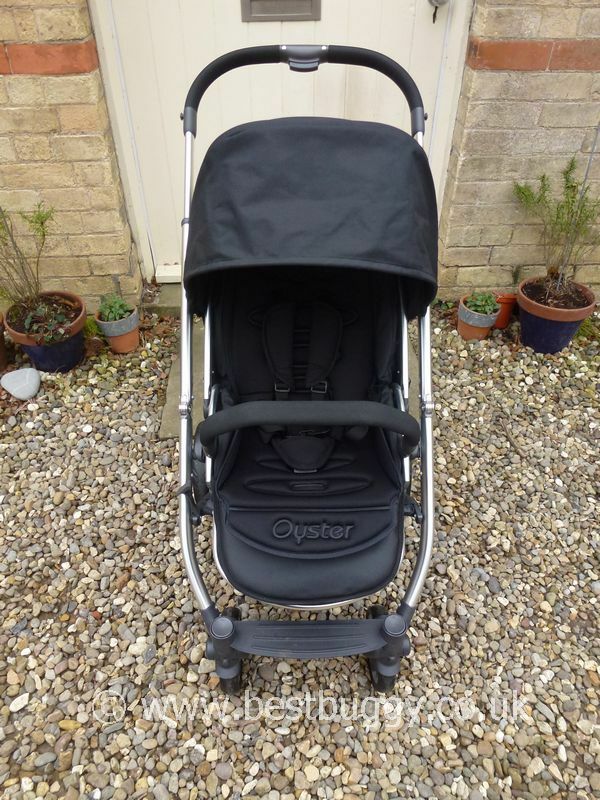 Carrycot, seat unit and car seat options. Narrow - just 56cms wide. Integral UV sunshade and net. Folds with the seat on in both directions. 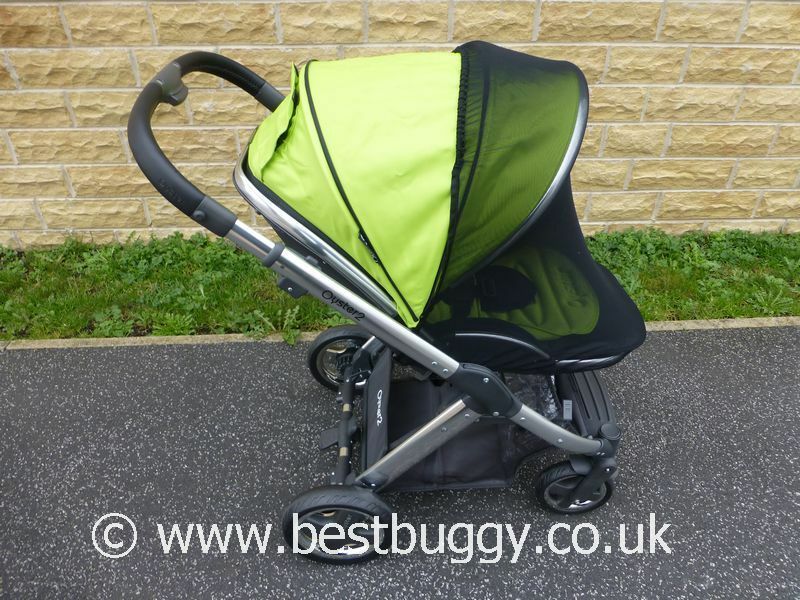 Packed with features that are usually found on a higher priced pushchair. Extendable hood - both with a visor and zip out section. Adjustable handle. Seat pops off very easily. The hood slides up the frame to allow room for an older child. The child feels exposed in the seat. 2 handed fold. Oyster 1 is not suitable from birth without the carrycot. The harness is a bit short once the liner and footmuff are in place. The rear facing fold is long and an odd shape! The seat has a small ledge in the back which means some children don't look like they sit correctly in the seat. The hood doesn't push back flat against the seat. 2 step fold. Will fold with the bumper bar folded down - however the fold is not quite as compact. Britax Baby Safe Plus SHR, Britax Baby Safe Plus SHR II, Oyster (LB321), Mamas and Papas Cybex Aton, Maxi-Cosi Pebble or Cabriofix. Swivel, lockable front wheels. Quick release. 25cm rear wheels, 18cm front wheels. The Plush has rear air tyres as standard but rear air tyres can be bought as an accessory for the other Oysters. 83-93cms depending on where the handle is. 106cms when handle is fully extended. 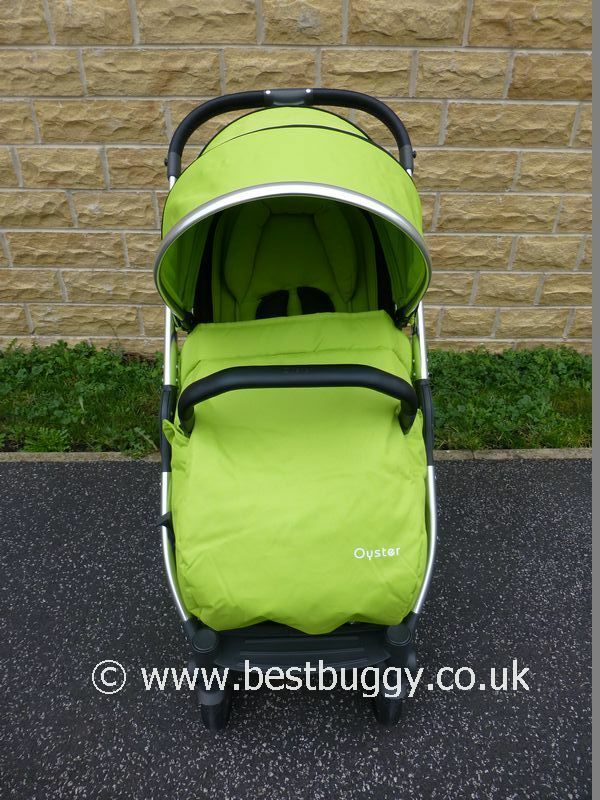 The Oyster 1 has 13 pushchair colour packs Oyster - includes a Hi-Tech seat liner, head hugger, colour coordinated hood provided in a matching bag and 12 carrycot colour packs - includes a zip on hood and apron. A range of accessories including footmuff, changing bag, parasol, air tyres, snack tray, black out shade, bottle holder, car seat adapters, ride on board.